Missorts, my permanent public artwork app for Bristol, which launches on 20 November with an event at St Mary Redcliffe, includes beautifully performed audio of ten new and interconnected short stories by writers Sara Bowler, Holly Corfield-Carr, Thomas Darby, Jack Ewing, Katrina Plumb, Jess Rotas, Hannah Still, Helen Thornhill, Isabel de Vasconcellos and Sacha Waldron. The stories, which are voiced on the app by Bryony Hannah and Benjamin O’Mahony, were produced during the series of free writing workshops that I held in partnership with Bristol Record Office during June 2012. (I also held a further session for A-level English students from St Mary Redcliffe and Temple School.) 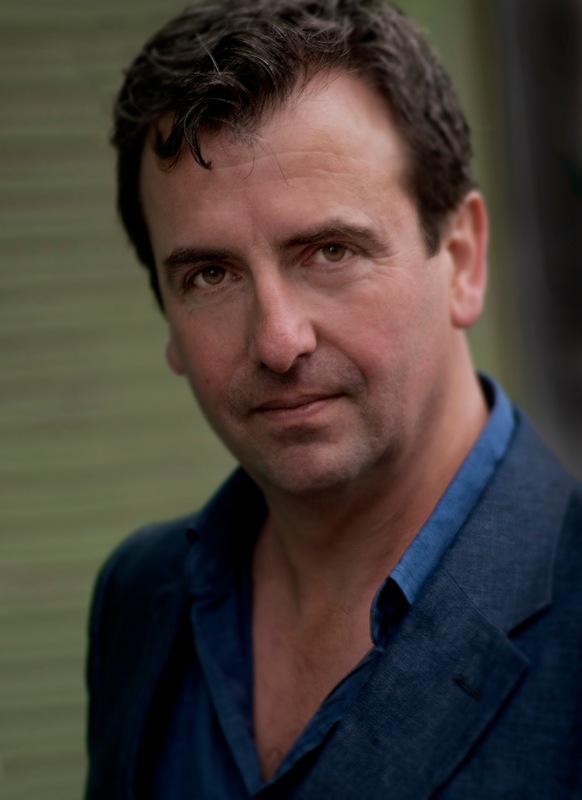 I had expected the main, open-call workshops to attract writers from the Bristol area, which they did, but in the event writers also came from as far afield as Nottingham, London, Devon and Cornwall. In the workshops, the writers used the cut-up technique to create completely new works of fiction from a small number of source texts relating to Bristol’s radical literary history. These included the Middle English allegorical narrative poem Piers Plowman (a text that is associated with the dissenting tradition and the Lollard movement, a political and theological heresy that closed down Redcliffe’s St. John the Baptist Hospital in the fifteenth century), and an out of copyright nineteenth century melodrama that features among other characters a fancifully fictionalised young Thomas Chatterton. Best of all, while being shown up the narrow stone staircase leading to the celebrated Muniments Room at St Mary Redcliffe – an octagonal stone room high above the church’s north porch within which stood the great chest in which the real young Chatterton discovered the ancient manuscripts that were to provide both inspiration and medium for his astonishing Rowley poems – I was shown into a dusty and little-used room known as the Easter Vestry. Boasting an impressive medieval latrine, and full of all kinds of ancient nick-nacks, the room also contained a plain but relatively modern desk, of the kind that one might buy for £40 in a second-hand office furnishing store. In the desk drawer I found a few leaves of cream A4 paper: page proofs, as it turned out, from an architectural gazeteer by Dr Warwick Rodwell that forms part of the St Mary Redcliffe Conservation Plan (Salisbury: Michael Drury Architects. 2004). The fragments of text I found in the Easter Vestry desk drawer are descriptions of architectural features. 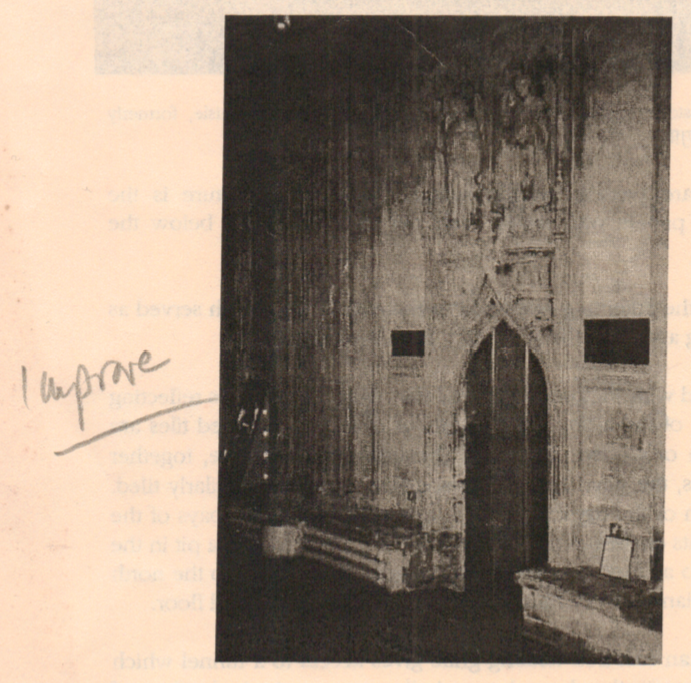 These are proofs, although the only mark-ups relate to a small number of photos of piers and vault bosses in the undercroft (‘Re do?’), and a door in the north chancel aisle (‘Improve’). Allowed by the church to keep my prize, these few pages became more raw materials for the cut-up process. Meeting the writers for a follow-up session, something interesting seemed to be happening as those first cut-ups got folded back into the writers’ own practice. By now the core group of writers who gathered in an upper room overlooking Chatterton’s house were all women. (Of the two men in the final collection, Thomas Darby lives in Nottingham so continued his participation remotely, while Jack Ewing’s story came from the A-level group.) 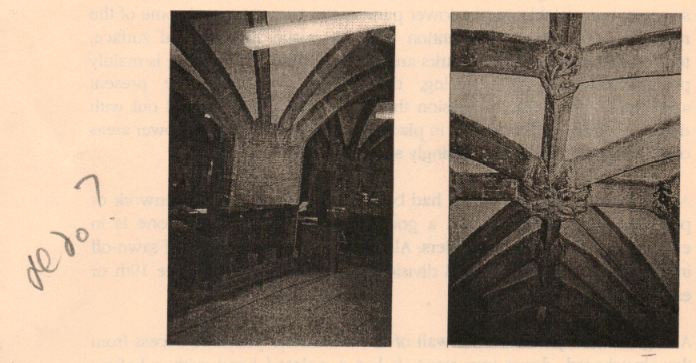 I was pleased that a lot of the writing had retained that certain, characteristic, syntactical jaggedness engendered by the cut-up process, while the architectural detail from the Easter Vestry gazeteer gave a unity of texture to the stories, providing a series of what felt – as they emerged – like particularly Bristolian props: bricked up doorways, displaced marble floors, stone steps, tidal flows. Stage sets for choreographies of cyclists and wheelie-cases. Some of the stories too had an almost psychedelic vibe, particularly Jess Rotas’ bossy, talking seagull, Katrina Plumb’s dandyish doggerel of hatters doing battle with barbers, and Holly Corfield-Carr’s sleeping giantess. I was reading Ann Quinn’s novel Tripticks, and had brought it along to the workshops as a kind of totem. It provided a timely call to arms, a reminder not to over-polish, to try to harness the energy that the cut-up technique produces: ‘a new surge for tired old idiom the seedbed of a psychic revolution,’ as Quinn herself writes on p.43. Tripticks is an exuberant, stylistically diverse, punky-but-pre-punk road trip novel, full of lists and forensic reworkings of found texts, all unified by Carol Annand’s graphic illustrations. Narrative effects created by the substitution of proper names. The stories were also connecting in other ways, the sources of which were less easy to define. 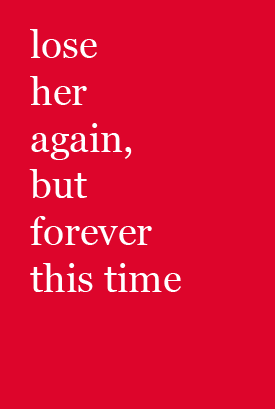 Through shifts both stylistic and temporal — ‘forward and backward in time,’ in the words of Hannah Still — Jack and Bet seem forever doomed either to be anticipating, experiencing or suffering the consequences of some defining moment of loss. The ten stories that appear in the app are interconnected, but can be listened to in any order. They do not have titles as such (I still refer to them by the authors’ first names). Instead I selected a phrase from each, as one would choose pull-quotes when laying out a story in a magazine. A line that might make one want to read on, or which might be the fulcrum upon which a story was balanced. These pull-quotes-without-a-page-upon-which-to-sit had been part of an early vision for the piece that included using billboards in the vicinity of the app, an idea that was dropped for being both too ephemeral in relation to the expected life-span of the app, and potentially misleading in terms of where and what Missorts actually is: a soundwork. Missorts by Tony White includes ten new and interconnected short stories by Sara Bowler, Holly Corfield-Carr, Thomas Darby, Jack Ewing, Katrina Plumb, Jess Rotas, Hannah Still, Helen Thornhill, Isabel de Vasconcellos and Sacha Waldron. The Missorts app works on Apple iPhone iOS 5 & Android v2.2 and above only. Download the app free from 20 November 2012. Go to www.missorts.com for details. You will need a 3G, GPRS or WiFi a data connection. 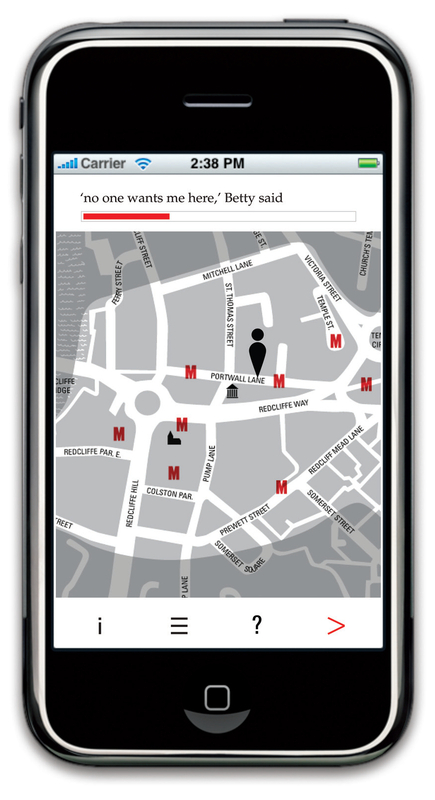 Missorts was commissioned and produced by Situations for Bristol Legible City and funded by Bristol City Council.